PROMO ALERT! 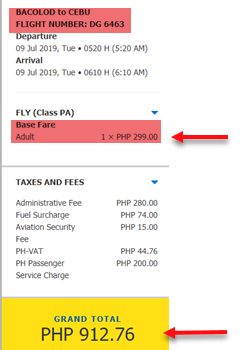 As low as P299 base fare select trips up for booking for travel on the second half of 2019! Fly to your desired destination via the Cebu Pacific promos as low as P299 base fare for domestic trips and P494 base fare for select international flight. Lots of destinations on sale from Manila, Cebu, Clark and other Cebu Pacific hubs. 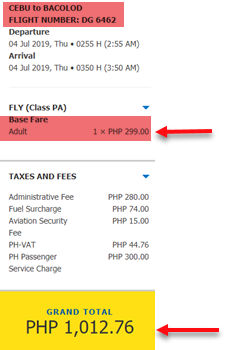 To avail the very low fares, book and buy Cebu Pacific promo tickets ASAP. Limited seats on sale! 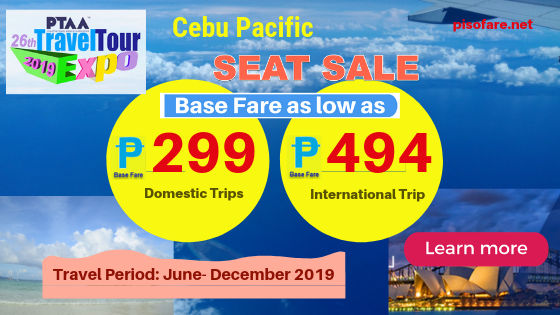 Hurry and buy the very affordable fares of Cebu Pacific and travel to your desired vacation destination from June to December 2019! Booking of cheap tickets are on a first come, first serve basis. Like our Facebook page: PISO FARE TICKET to receive promo fare 2019 to 2020 updates in your newsfeed!